You see that picture up there? That might be an accurate representation of the mod we look at this week, or it might be something that was on the mod page and was not in the actual game. But who would be crazy enough to make a mod and put pictures up for stuff that wasn’t even in the mod? Or maybe, this mod is so great that there are things we didn’t see because we just don’t get art games or something. I don’t know. 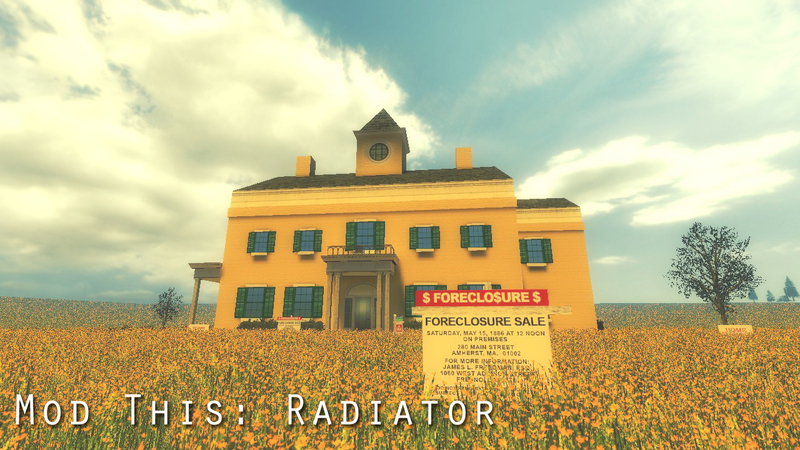 We take a look at an experimental mod called Radiator. There are a bunch of words in the title after that, but they don’t make much sense. Come stargazing with the Error! Crew as we dig into this Half-Life 2 mod from a guy who did a thing. Check out his mod page here and check out the video below.